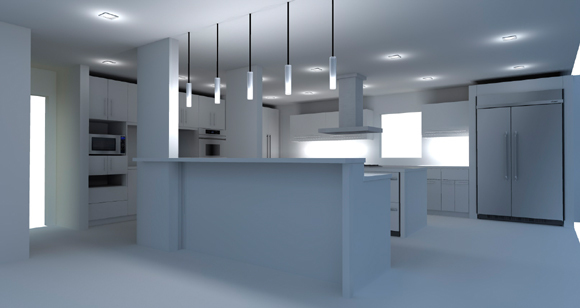 This kitchen was designed with a modern aesthetic and an open plan for entertainting. 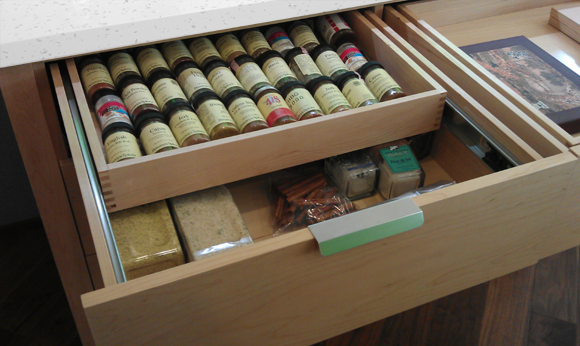 Plenty of storage with ease of use was a determining factor in the design of this space. 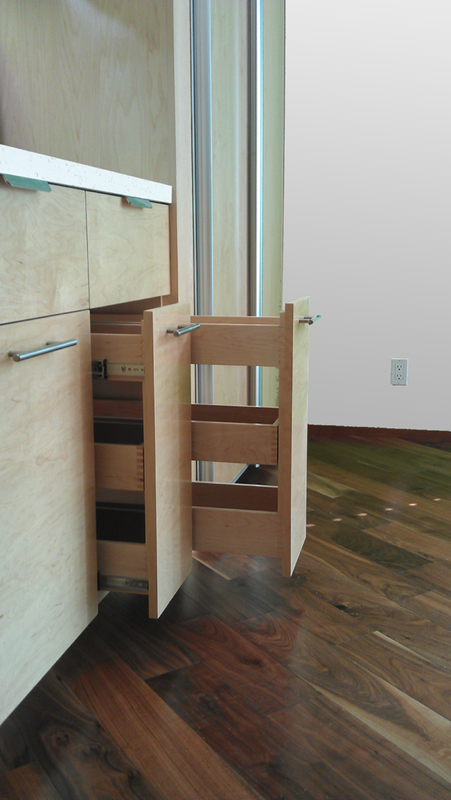 All of this cabinetry was made with natural maple and imported stainless appliances and fixtures.